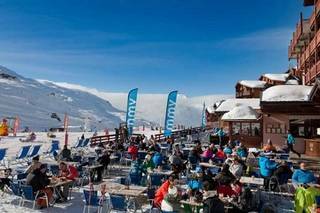 Ski hotels in Serre chevalier : compare ! For your next holiday in Serre Chevalier, you want to reserve a cheap ski hotel ? At Serre Chevalier, experience new emotions facing the summits and the purity of the mountain, from the peaks, share the beauty of the Ecrins National Park. Stay in the resort of Serre Chevalier and discover its thirteen villages, you will be surprised by the diversity of activities. From your ski hotel in Serre Chevalier, you will enjoy discovering the immensity of the landscapes and a beautiful setting. By staying in a ski hotel in Serre Chevalier you can enjoy ice circuit, quad or snowshoe walk, ski joering, paragliding, ice skating, not to mention sledge! Your ski hotel in Serre Chevalier allows you to reach 250 km of slopes. Serre Chevalier is renowned particularly for its ski area extending from Briançon to the Col du Lautaret which makes the village one of the largest ski resorts of the Southern Alps. During your stay in ski hotel rental in Serre Chevalier, admire during a walk in the districts of the village its beautiful old houses, its churches and its chapels. Serre Chevalier offers in all seasons a wide range of activities to holidaymakers. While downhill skiing and Nordic skiing are among the activities that can be practiced in winter, holidaymakers also enjoy hiking and walking. This beautiful family destination offers you an untouched environment to relax with family, and make fun outings. With young children or on winter sports holidays with beginner skiers, you can enjoy the eight learning spaces on the estate. Serre Chevalier Vallée is a very large ski area offering a great variety of courses, along large panoramas on the mountain or crossing the forest. In order to enjoy a pleasant holiday at a low price, compare the available hotel offers in Serre Chevalier on our Shortlist Compare Ski Express .